Book Review: The Wild Book by Newbery Honor-Winning Author Margarita Engle. 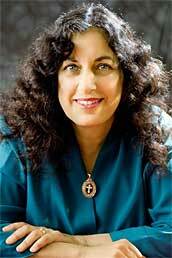 About the Author: Writing a historical novel in verse feels like time travel, a dreamlike blend of imagination and reality. It is an exploration. It is also a chance to communicate with the future, through young readers. About the Book: Fefa struggles with words. She has word blindness, or dyslexia, and the doctor says she will never read or write. Every time she tries, the letters jumble and spill off the page, leaping and hopping away like bullfrogs. How will she ever understand them? But her mother has an idea. She gives Fefa a blank book filled with clean white pages. “Think of it as a garden,” she says. Soon Fefa starts to sprinkle words across the pages of her wild book. She lets her words sprout like seedlings, shaky at first, then growing stronger and surer with each new day. And when her family is threatened, it is what Fefa has learned from her wild book that saves them. The Wild Book is a novel in verse inspired by stories told by Margarita’s grandmother about her childhood. The gorgeous cover is illustrated by talented multiple Pura Belpré winning illustrator, Yuyi Morales. 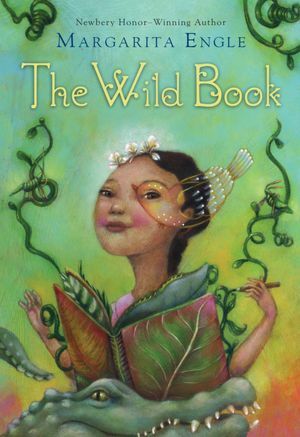 My Review: The Wild Book is fiction inspired by stories told by the author’s grandmother Fefa, who at a young age struggled with dyslexia. But she found ways to overcome this disability with help from her mother who gave her a book with blank pages to write down her thoughts. Fefa wrote about how her classmates and siblings taunted her, they laugh and mock her and her brothers frighten her with lizards, bugs and spiders. The teacher was too busy to give her extra help and her mom was always there to help her. Her mother taught her to learn how to go slowly and take her time. While Fefa was frustrated, lonely and struggling with words, she observes the uncertain world ofCuba. It was a time of lawlessness, whenCubawas terrorized by bandits kidnapping farm children unless their families agreed to deliver ransom money in advance. She wrote about the struggles that surrounded her. Mothers who have children suffering with dyslexia will find this book useful in teaching their child how to overcome their struggles in reading and writing. The wonderful thing about this book is that Fefa learnt how to deal with her disability by writing slowly and carefully. The reading age is 10 and up, but I will recommend that parents read this book with their children for better understand.